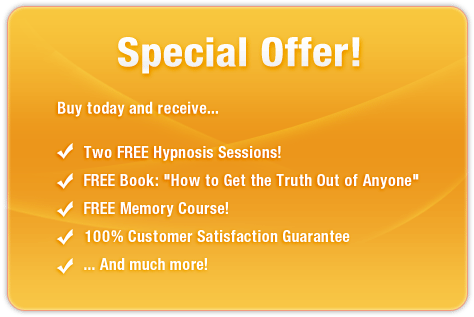 Want to turn your mind into a calculator? Do complex calculations in your head - IN SECONDS? Thanks to the power of subliminal messaging technology, Mathematical Genius can make problem solving a cinch. The Mathematical Genius session will make algebra fun and arithmetic easy, helping you solve the most challenging puzzles accurately and effortlessly - in less time than you ever thought possible! And it’s 100% risk-free! If you’re not completely satisfied with your superior mathematical abilities, let us know within 90 days and we’ll refund your order in full. Don’t struggle with mathematics! 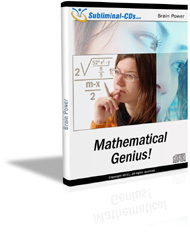 Purchase Mathematical Genius TODAY and watch your mastery of numbers soar! I'm a natural problem solver!